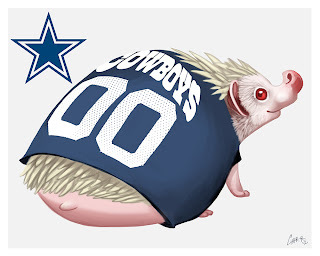 It's football season and what better way to celebrate than having your pet sporting your team's jersey! I have my little hog sporting a Cowboys jersey because they won recently (doesn't he look like a little pudgy football?). What, not a fan? Don't like American football? Not a problem, get your pet's pic with your team instead!